Adam Silver sees no issue with the Golden State Warriors dominating the NBA, even if he is looking to create a more balanced league. The Warriors picked up their third championship in four years after sweeping the Cleveland Cavaliers in the NBA Finals and made their squad even stronger by signing DeMarcus Cousins in free agency. But Silver's only concern as league commissioner is an imbalance between the Eastern and Western Conference, LeBron James having switched to the latter when he joined the LA Lakers. 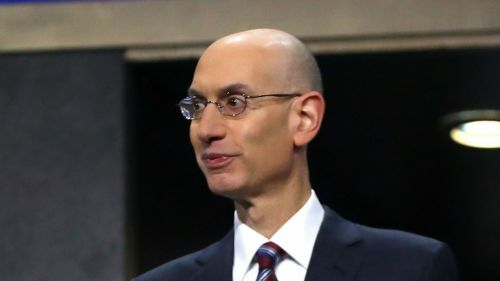 Silver will look into ways to ensure the NBA remains competitive and encourages the Warriors to keep pushing within the league's framework. "I am not here to say we have a problem. I love where the league is right now," Silver said after his annual meeting with the board of governors in Las Vegas. "But I think we can create a better system. "We have learned from each successive deal, we try new things, we make predictions about how caps and exceptions will work, we have economists who come in and the union does as well. "But it is not a perfect science in trying to predict the behavior of our teams and things change in the marketplace as well. "I don't think it is necessarily bad that the Warriors are so dominant. "As I have said before, we are not trying to create some sort of forced parity. What we are really focused on is parity of opportunity. There are changes we can make to the system and I think we will create a more competitive balance and a more equality of opportunity. "And the discussion in the room, people weren't coming in necessarily complaining. But I think, as good business people do, they are looking out to the future and saying how can we improve things." Clarifying that he is happy with the way the Lakers moved to compete with the Warriors, as the champions themselves improved, Silver added: "Let me make clear: under the current system right now, we want teams to compete like crazy. "So I think the Warriors, within the framework of this deal, should be doing everything they can to increase their dominance."